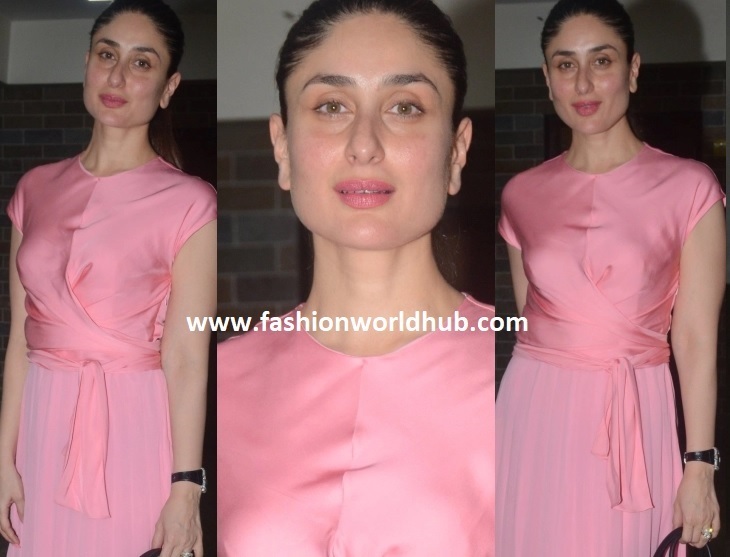 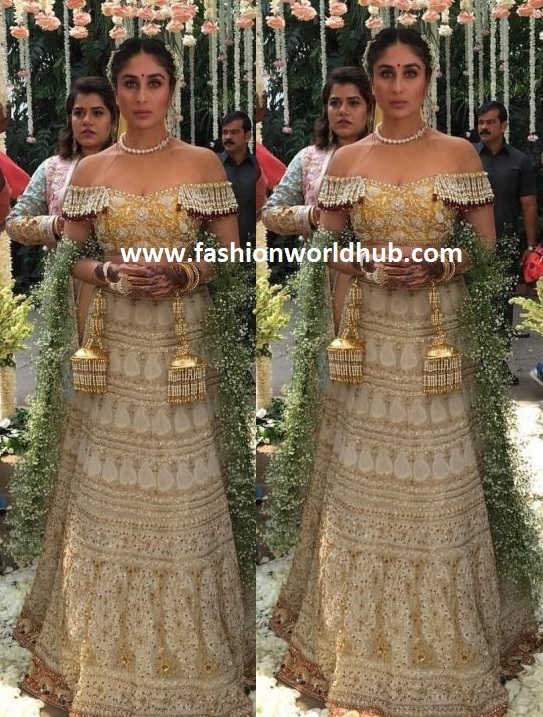 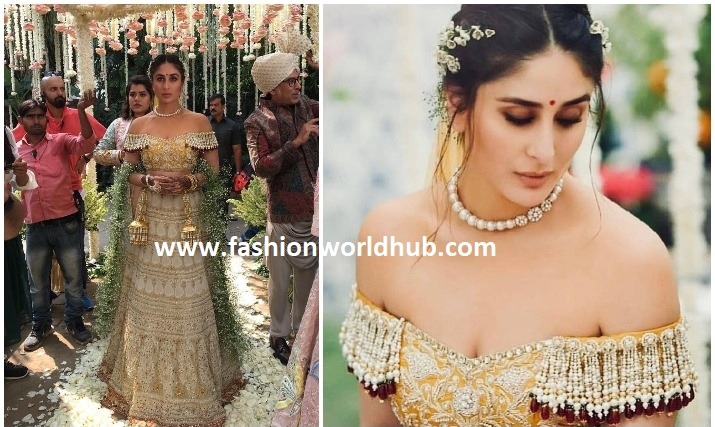 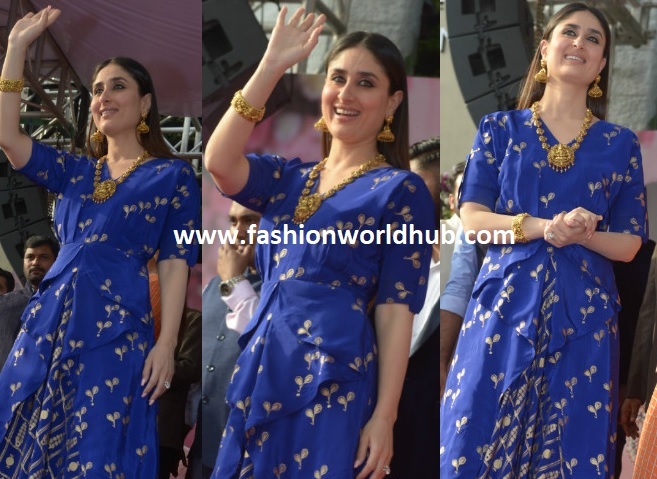 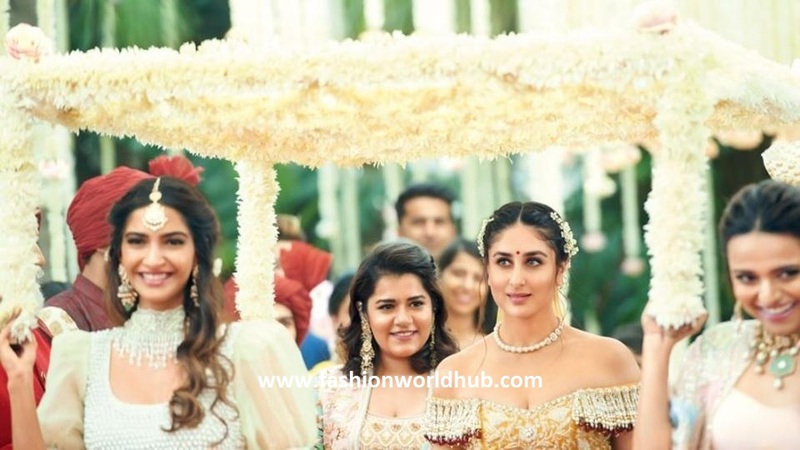 Kareena Kapoor absolutely looking stunning in bridal look in Veere Di wedding and following photos are breaking the internet. 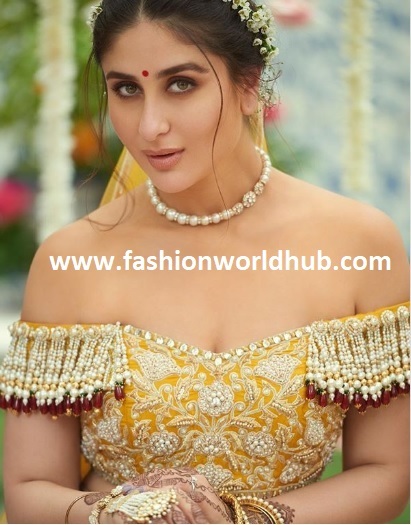 Kareena kapoor bridal ensemble are the collections from Abu jani sandeep khosla . 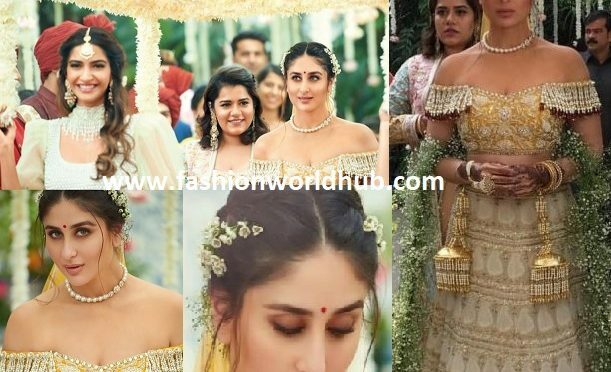 Kareena rich lehenga are designed with pure gold motifs and the off shoulder blouse with detail intricate with white and gold motifs completed her bridal look.